Jamboree in the Hills is the "Superbowl of country music festivals." Held outdoors in mid-July, the hills near Morristown. Ohio literally come alive as jamboree hills. Bring your lawn chair. 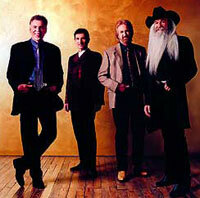 On stage entertainment includes big names in country music. Stratton House Inn is located only a few minutes from the site of this major event. To reserve room at the inn for this event, please contact us early.